Monsters aren’t always scary, especially not in cartoons that decorate packages of fun foods, such as the “Franken Berry” and “Count Chocula” breakfast cereals. Yet, a monster’s power can translate into words that themselves demonstrate a wide range of purposes. Take the diminutive tomato. It may not seem scary but, to certain interest groups fighting the genetic engineering of foods, it is. While food tinkering is largely confined to science, the discourse about it that is seeping into the public domain is increasingly vivid and popular. Witness the re-emergence of the prototypical, unnatural monster created by Victor Frankenstein in Mary Shelley’s 1818 classic novel: it now serves as the eerie though accessible moniker for complex food topics. How? That genetically modified tomato has been dubbed a “frankentomato”. Though scientists and biotech companies are trying to fight this monstrous label, metaphors can run deep. 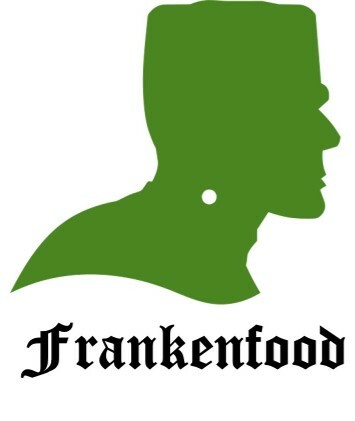 In fact, the term “frankenfood” has now extended to what the Urban Dictionary calls “revolutionary culinary creations that mash up original and unexpected food combinations and ingredients, resulting in delicious dishes … or awful misses”. 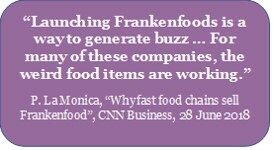 Indeed, “frankenfood” has crept onto quick-service restaurant menus that increasingly promote catchy offerings. A Whopperito (burger in a tortilla), bacon shake or pickle-juice snow-cone slush anyone? The prefix “Franken” has spread its spell as both an ominous dagger and a symbol of creativity. That might fit the times and the long-term future. And, it may signify a wonderful word is here to stay. Next: Next post: Partly Sunny – Or Partly Cloudy?